November Punta Cana, Dominican Republic 2017. Corrin Stellakis who was at that moment not yet crowned Miss Multiverse, is also the former Miss Earth Fire 2016. You can see her here in a photo shoot at with New York photographer Will Falize, on the smashing beach of the Hard Rock Hotel & Casino Punta Cana. This lady is turning into a real star, we can not wait to see where her current title will lift her. The TV reality show “I am Multiverse’ which is filmed during the personality contest of Miss Multiverse will air in just a few months. Miss Multiverse 2017; Corrin Stellakis is age 20, she attends Liberty University Online, she is pursuing a degree in communication and psychology. She has previously competed at Miss Teen USA in 2014, Miss World America in 2015 and Miss Earth 2016 as Miss Earth USA 2016. She is a young entrepreneur and owner of Fit to Reign Studio and salon, she is a personal trainer and a Pageant coach. Sources have told us that Corrin stellakis will become a daily judge and pageant coach at the upcoming contest and reality TV show of Miss & Mrs Megaverse in Punta Cana. We will keep an eye on this gorgeous woman and the Miss Multiverse contest and TV program and update you with more information soon. This unique elimination-style personality contest seeks to find the most multi-faceted and capable among 30 women from 30 countries. These women are judged in this challenge based format, extroverted judges, intriguing personalities, testing their leadership skills, social capabilities, athletic performances. 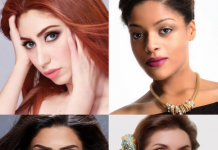 As we get to know each contestant through challenges and triumphs leading towards the opportunity to become an official Top 10 model and find the ultimate winner of the crown. Achievement beyond Beauty is their slogan. 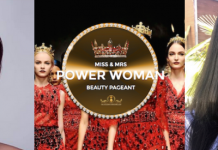 Meet the Contestants of Miss & Mrs PowerWoman 2017: Ms England, Ms Spain, Ms Brazil and Miss Australia petite.